Gamal Yafai will defend his WBC International Super-Bantamweight title in a must-win clash at the FlyDSA Arena in Sheffield on March 3, live on Sky Sports. The duo are gunning for major honours in 2018 and their Steel City showdown takes the winner straight to the top table in the 122lbs division. Unbeaten Yafai made his first move in the World rankings in May when he claimed the title he defends, stopping Sean Davis on his Birmingham home patch. ‘The Beast’ will taste six-round action in January before heading to Sheffield, and believes he’s ready to roll the dice and mix it with McDonnell to prove his credentials for major honours. “The path is laid out now,” said Yafai. “I’ve been waiting for something like this to get stuck into. I got the win at York Hall recently but fighting in January and then straight into the McDonnell fight gives me some momentum. It’s been a bit stop and start for me, but it’s a New Year and I can’t wait for it. “I know I’m good enough for the big nights and this is certainly a big fight. I believe I’m good enough to beat the likes of Gavin. It’s experience against youth, but I bring something different to the table than what he’s seen. “Gavin is a good fighter. He’s fringe World Level, he just fell short against Vargas. I’d like to think I’m slightly above prospect level now so, if I get the win it catapults me up a level or two. He’s still got a good World ranking which I can take – this is possibly his last shot to get back up to World level. “We were looking at the British title but this opportunity has cropped up. It’s something we couldn’t turn down. We’re not going into this fight to just get a bit of money or whatever, I’m very confident. If you think you can win, why not take it? It doesn’t matter where you are in your career. “I remember watching Gavin coming through, I made my pro debut on a Leeds card in which he was fighting higher up the card. I think I’m good enough to beat him. “He’s a nice guy, we’ve sparred and I get on with his brother but at the end of the day boxing is a business. We’ll go in there, have the fight and then shake hands after. Gavin McDonnell faced Rey Vargas for the WBC World title in Hull in February, losing out to the classy Mexican via majority decision, but the Doncaster man took plenty from his first performance at World level – and is determined to get another crack at a big belt next year. “I’ve learnt so much in and out of the ring in the past year,” said McDonnell. “I feel like I’m a much better fighter now and the loss has bought me along – It’s given me a taste of the big time and I want more. “These domestic dust-ups are the type of fights which gets the bit between your teeth. It’s a massive fight compared to my last fight which has got my juices flowing. These are the fights that I want. All going well, I’ll get the win and look to maybe have a World Title eliminator before getting into contention at the back of the summer – I want another World title shot in 2018. “Gamal’s a good fighter – I have respect for him and his Brothers but I genuinely believe I’m going to do a number on him but he’ll think the same. I’m going to make the most of these big fights now because by the time it comes around it’ll have been a year since my last real big one. He’s got a lot more to gain than me, it’ll be a competitive fight. We sparred over a year ago, they were good spars – I’m not going into it but if that’s anything to go by it’ll make for a fan friendly fight. “I said to the team, whoever gets me next has got me at the wrong time. I am not losing again, I can’t lose again. I’m still feeling young and fresh to the game but now I have the experience and drive. “That World title defeat, I couldn’t have done much more. I had a great camp, I got beat by the better man and there’s no shame in losing to Vargas, he’s gone on to show how good he is. If I can get a big win here, it sets me up for a massive year. I know how this boxing game works, it will snowball. 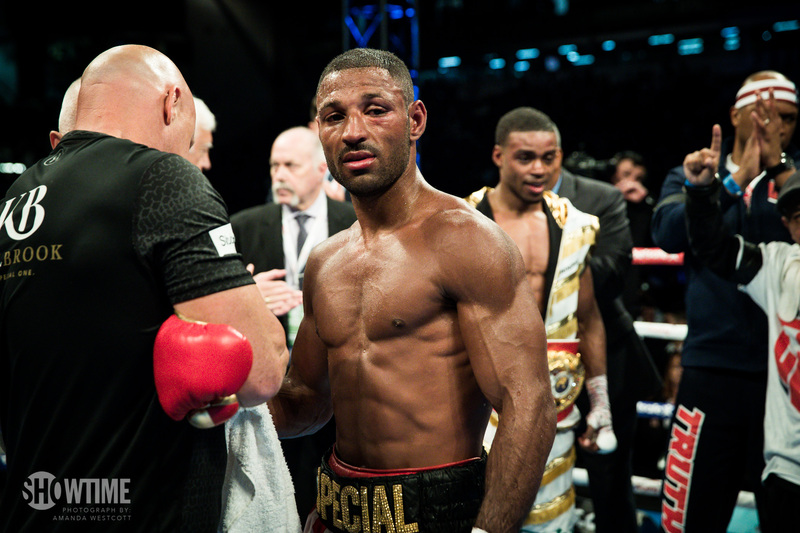 McDonnell and Yafai clash on the undercard of Sheffield hero Kell Brook’s debut at Super-Welterweight, where he faces former European champion and WBC number seven Sergey Rabchenko. Face value tickets for March 3 are available from http://www.stubhub.co.uk/matchroom-boxing-tickets/ . StubHub is the official ticket partner and marketplace of Matchroom Boxing and Anthony Joshua.